PCA was commissioned to undertake archaeological works in accordance with conditional planning consent prior to the redevelopment of the site, to comprise the construction of a tower block with commercial units to the ground floor and residential units above. PCA produced a Desk-Based Assessment (DBA) followed by a Written Scheme of Investigation (WSI), agreed with the archaeology advisor to the local planning authority, for a targeted trial trench evaluation. 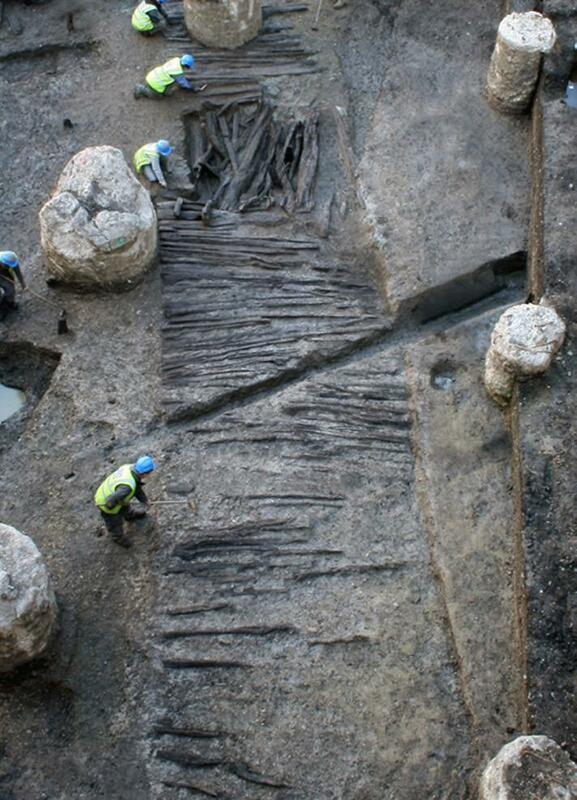 This revealed archaeological features that required further archaeological excavation, which resulted in a targeted strip, map and record programme of works in a selected area. Level 1 historic building recording was also conducted on some of the structures on the eastern end of the site. The DBA established that the site probably remained as open agricultural land until the latter part of the 17th century, when it was rapidly developed, along with wider intensive and extensive industrial development of the surrounding Ancoats area. From at least as early as 1794 there were buildings on the site associated with commercial activity and the residences of members of the workforce involved in local industries. 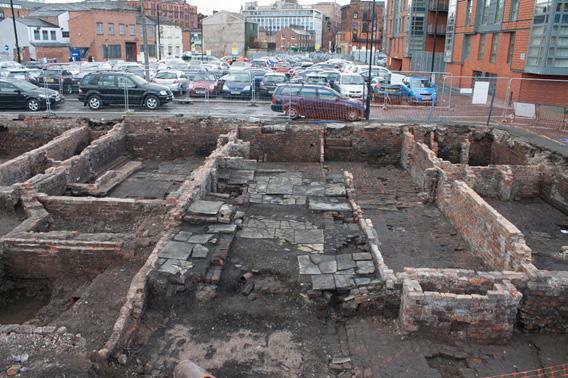 The excavation revealed a series of cellars and courtyards that dated from the late 18th to the early 19th century. These structures included workers houses, a warehouse and buildings of mixed residential and commercial use. A significant finds assemblage recovered from site included personalised items belonging to residents and patrons of Astleys Arms public house, which stood at the site from the late 18th century until the 21st century. PCA was commissioned to undertake archaeological evaluation, excavation and watching briefs at Draper’s Gardens. Works included demolition of an existing building and the construction of a 13 storey building with two basement levels. PCA worked alongside the demolition team to ensure the project ran to schedule and a safe and efficient strategy was developed. While the central tower was demolished, archaeological recording and excavation took place in the western part of the site. Once the cantilevered base of the tower was removed, PCA’s archaeologists could continue work on the western end. This site lies over the meeting point of three channels of the Walbrook – one of London’s ‘lost’ rivers and a major feature of the Roman and medieval city. These tributaries now survive only in sewers. The waterlogged conditions proved challenging for archaeological work, but the PCA team kept to schedule whilst recording valuable archaeological remains. Excellent preservation of organic materials and metal objects provided us with a wealth of information about the lives of Roman Londoners. Finds included leather shoes, a wooden track, infant burials inside small timber boxes and metal items, such as a copper alloy key and a hoard of fine objects. The hoard was found at the bottom of a timber-lined well and 20 metal vessels including bowls, buckets, ladles, jugs and an iron trivet were recovered. It was an extraordinary find of international importance. More information can be found in PCA’s booklet Secrets of the Gardens: Archaeologists unearth the lives of Roman Londoners at Drapers’ Gardens.